Brunton ADC Wind is a backwoods basic that gives you current conditions from temperature to wind chill to water speed, plus timekeeping, chronometer and countdown tools to measure performance. The ADC Wind display is engineered to show time including seconds, the date and day of the week, and temperature all on the same screen. Making it easy to get your measurements without having to push a button. Get your wind speed and quickly go back to your time/date/temp mode. Water resistant, Brunton left nothing out from the ADC Wind. Do the atmospheric data centers provide both metric and imperial measurements? Yes, you can display data in both metric and imperial measurements. 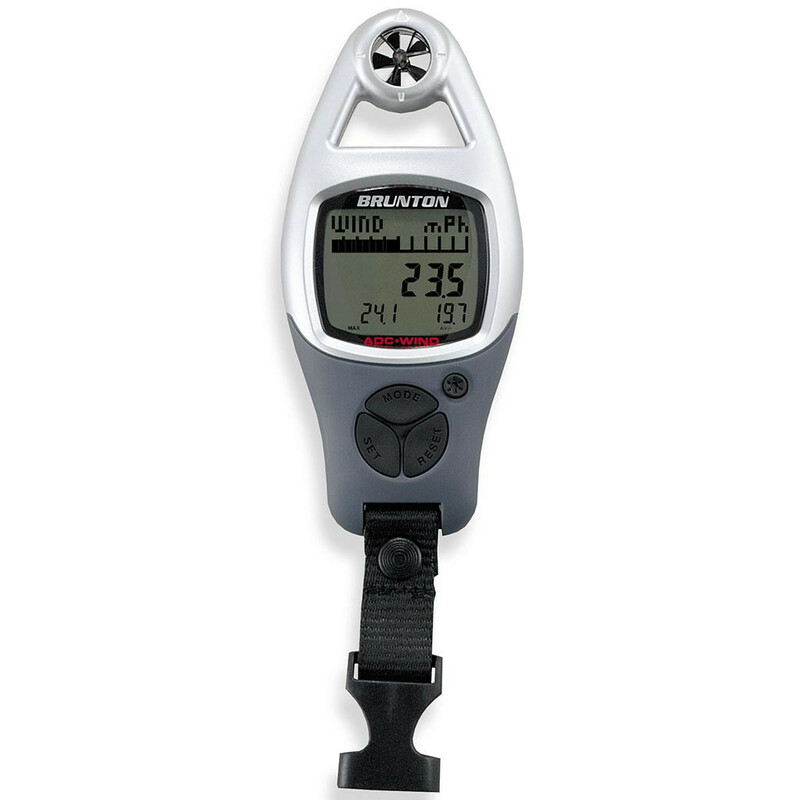 Click reset button to choose measurement displayed when in the Wind, Temperature, Barometer, or Altitude display screens. The Brunton ADC takes a single CR2032 Lithium battery. This is a common battery available at pharmacies, electronics stores - anywhere you typically would buy batteries. You don't - and you don't need to. This unit will last over a year without being turned. The Brunton Company warrants the ADC Wind to be free of defects in materials and workmanship for two years.